Your front door is the first thing people see when they arrive at your home. 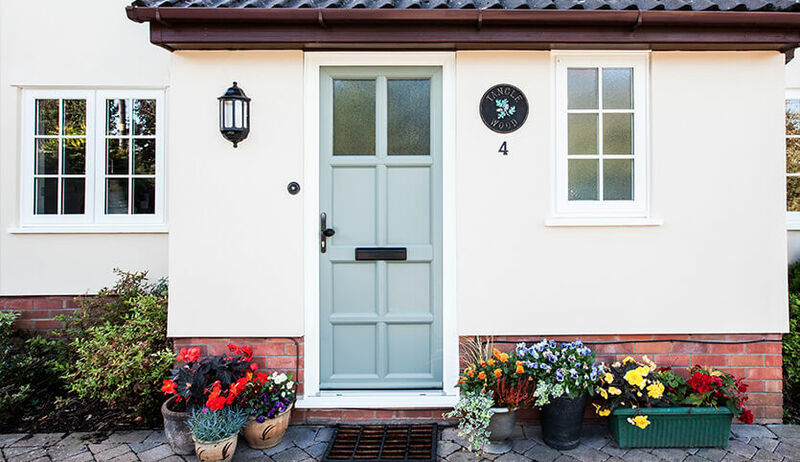 Upgrading your front door will boost kerb appeal and dramatically transform your home’s exterior appearance. A new front door will also improve security and enhance energy efficiency, for a warmer safer home. Why replace your front door? Your front entrance door is used every day. Over time it will become worn and its thermal efficiency will reduce. If you have an old front door, it may not be as secure as a modern version. Upgrading your front door will improve your home’s performance and give you peace of mind that your property is safe and secure. With multi-point locking systems and professional installation, your new front door will greatly increase your standard of living. 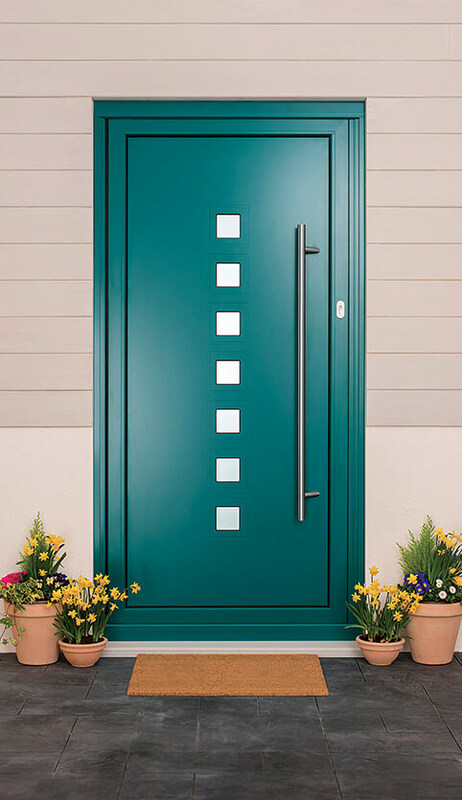 At FineLine, our new front doors are available in a wide range of styles and colours. They can incorporate as much or as little glazing into the design as you like, and you can choose from a selection of hard wearing and high functioning door furniture. 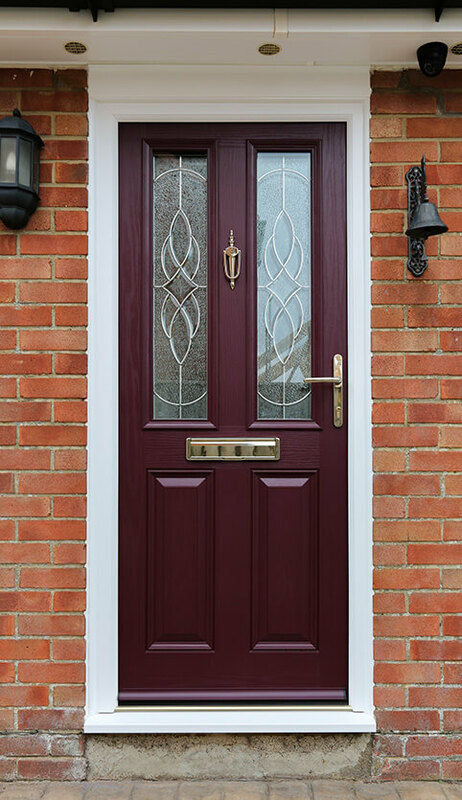 Our front doors are virtually maintenance free and will stay looking new for many years to come. Whatever type of property you call home, we can offer the perfect door for you. From modern new-builds to period properties, there’s sure to be a door in our collection to suit your home. 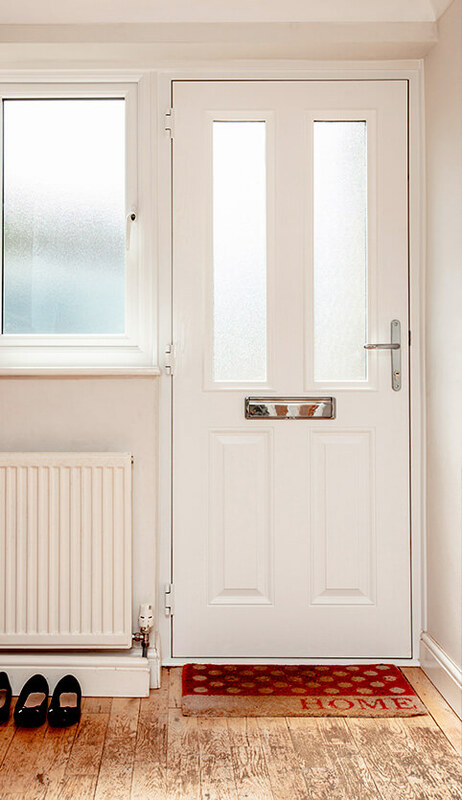 Our front doors are available in uPVC, aluminium, composite, or timber; so when you’re looking for a new front door, FineLine are the company to call. 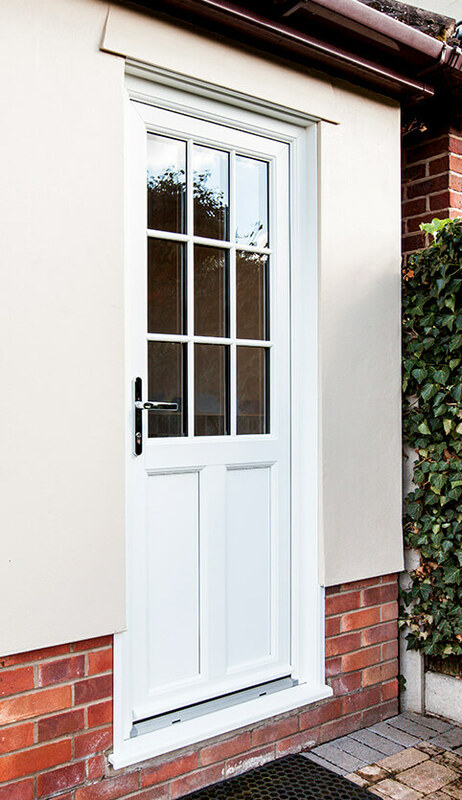 All our front doors are available in uPVC, timber, aluminium, or composite materials. Browse our individual product pages for more detailed information about our entire range. Enjoy the best of both worlds with our combination timber/uPVC doors.